Army Specialist Nathaniel A. Caldwell of Omaha, Nebraska was assigned to the 404th Air Support Battalion, 4th Infantry Division. Fort Hood, Texas. 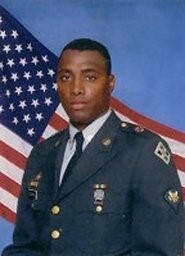 On May 21, 2003, during his service in Operation Iraqi Freedom, SPC Caldwell was in Baghdad responding to a civilian call when his car rolled over in a vehicle accident. He died a short time later at the age of 27. SPC Caldwell is survived by his wife, a step-child from a previous marriage, and two children; one of which is a Folds of Honor Higher Education Scholarship recipient.